Ability to launch phenomenal attacks is the most sought-after skill in chess. And it's easy to see why. A strong, well-executed attack usually WINS the game. No one is natural at it. 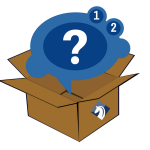 Do you think you are the only one who struggles with launching and executing an attack? Did not calculate deep enough? Didn't take into account all the possibilities? Came up with a wrong plan? We all been programmed to think that if you lose that's because you didn't try hard enough. But of course, you did try your best. Doing the same thing over and over again any harder will not change the result. It will only make you exhausted, drained and mentally tired... but it won't turn you into a great attacker. Is there a method that allows you to become a great attacker, and win more consistently? In this 10-hour masterclass, IM Alex Battey shares his blueprint for launching powerful attacks with maximum ease and near perfect execution! Throughout this course IM Battey provides you with 10 must-know elements to construct a successful attack. You DON'T need to be a chess genius or have a photographic memory to use those. You also don’t need to spend 8 hours a day on training. Once you get a hang of it, you’ll feel like the attacks are happening on an autopilot! How to identify and use the "Focal Points" in your attack - all great players know that focusing your forces into a single point creates an immensely powerful attack which is very difficult to counter for your opponent. The mating nets - done right. How to save your time and energy over the board while setting up the traps that will do the work for you! Exploiting the "Queenless Middlegames" misconceptions - most club players think that there is no play in those... Oh boy, you will prove them wrong! The Breakthrough automation. Do you want to become a master of opening up your opponent’s position and going after the king? This section will show you how. Thinking and Decision-Making. Attacking mindset is a defining characteristic of a strong attacker. You will learn the thought process and what's happening behind the scenes during a successful attack. This is just a taste of attacking strategies covered in this course! Applying those in your games, will immediately turn table on your opponent and transform you into an attacking machine! Are you ready to LEAP towards becoming the best attacking player in the room, let’s get started! Downloadable, complete set of annotated PGNs of everything covered so that you can analyze it at your own pace and convenience. A must have treasure chest for any serious player. Watch IM Battey demolish his competition using the ideas, principles, and plans demonstrated in the course. This extra video will help you see how everything works together! Instant download of 3 mystery courses on Attacking chess. Let those GMs and IMs help you to discover the secrets of attacking play. 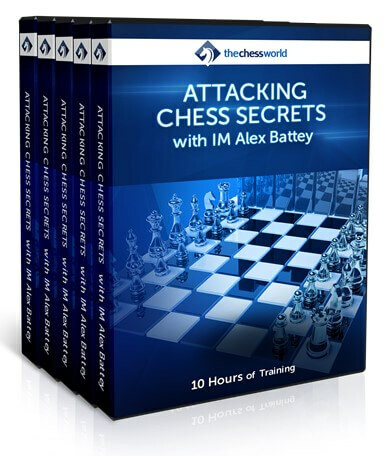 Great supplement for the Attacking Chess Secrets. Available to the first 50 buyers only! Alex Battey is an International Master from U.S. He has won multiple prestigious tournaments and taught over 100 of private students in the past 10 years. Alex has experience teaching chess in schools, for both a private company and as part of the outreach program at Texas Tech University. He is a an attacking player and always plays for the win.